It’s time for back-to-school! All the hype around kids going back to school, buying new school supplies, getting back into a routine, the wonders of learning… it’s a good time of year to rewrite your story. New school year = new you. Even if you’re not in school, you’re still a student of life! Let’s tap into these buzzing new-school-year vibes and channel them into our own real-world adult lives. Sometimes the end of summer feels like a time of mourning. But really, we should be celebrating how awesome it was! Gratitude, always. Scroll through all your photos from the past few months and remember the fun times you made for yourself. Hold a piece of summer with you via your outfit! 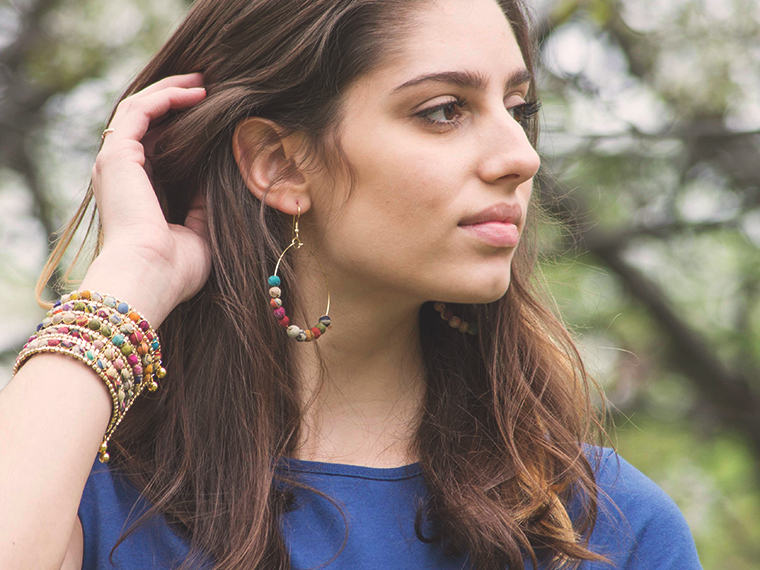 Wear a bright bracelet to add a pop of color and remind you of your vacay. 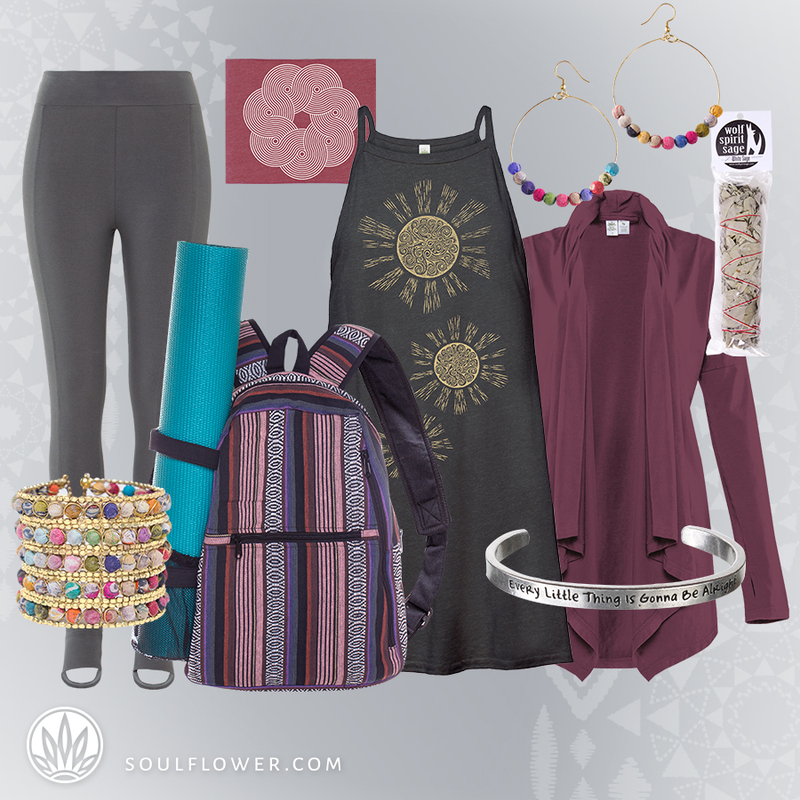 Layer your summer sundresses with leggings and a cardigan: not only will this easily transition your summer clothes into fall, you’ll also be reminded of the adventures you had while wearing them. We hear a lot of woo-woo talk about setting intentions. Meditating to the sound of Tibetan bells while inhaling a handmade blend of locally-sourced sage and lavender holding blessed malas with a moon-cleansed crystal balancing on your forehead. All of that is awesome, but can sound overwhelming. Setting an intention can be as simple as deciding one thing you want for this next season of your life, and holding that in your mind and heart. Repeat. Wear a special ring or piece of jewelry to remind you of your intention: every time you put it on and every time you fiddle with it during the day, you’ll be reminded of your vision. Or find a graphic tee with a positive statement you love. 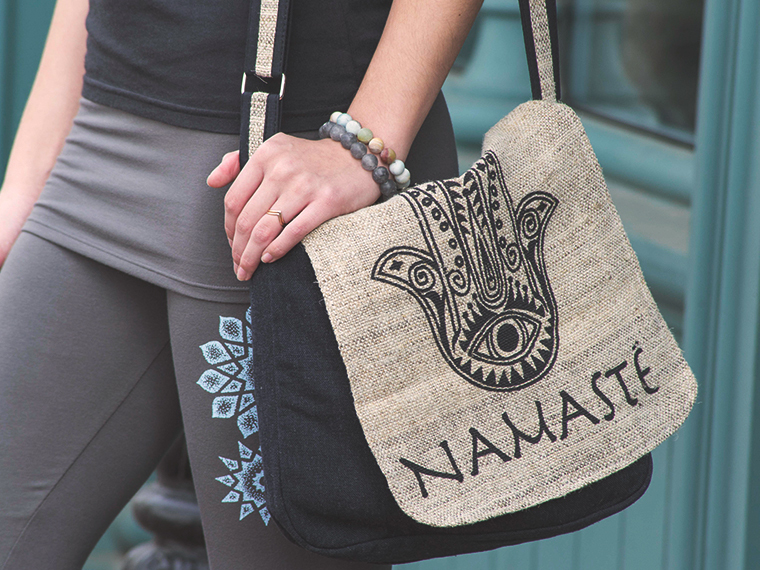 Wear it as a reminder to yourself and to radiate good vibes to others! If you’ve already been working all summer, your workspace probably feels like anything but a New Beginning. And that’s all the more reason to cleanse your space! Let go of your sad, abandoned summer bucket list and clean out any stale summer vibes. Actual cleaning is optional, but at least stir up the energy with a new plant or fresh scents. 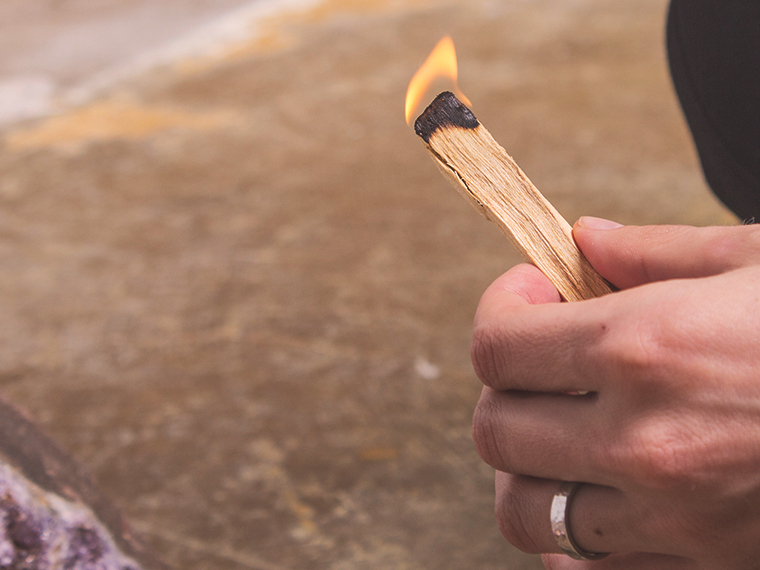 Smudge sticks made from sage or Palo Santo are a fun way to clear out stale vibes with a ritual-like ceremony. If you’re itching for a drastic new look in your workspace, office, or dorm, tack up a colorful tapestry for a big, bold statement. OK, so organizing your whole life is way too big of a bite to take. Instead, start someplace small and just organize something. Organize your wallet/bag situation. Or purge through your jewelry and make a cute jewelry hanger to show off the pieces you really love. Choose a bag and a wallet to always carry with you. No more switching purses every other day and misplacing everything in the process! Use a wallet that works for you: whether you’re an everything-in-its-place person, or a toss-it-all-in-and-go type. When reaching into your bag no longer feels digging for buried treasure, your day can feel a little bit smoother! Rolling along into autumn means cooler temps, which probably sounds like heaven right about now… a welcome break from the heat. That summer sun was glorious, but it’s time to give your skin a break and reacquaint yourself with the word “cozy.” Plus, incorporating a new piece into your wardrobe can inspire, motivate, and get you feeling ready to conquer the world. Pick a clothing item that’ll work double duty for the life you’re living now: something you can wear to the office, to happy hour, and to the park with the pups. The more wear you can get out of clothing, the better for the planet and your pocketbook. 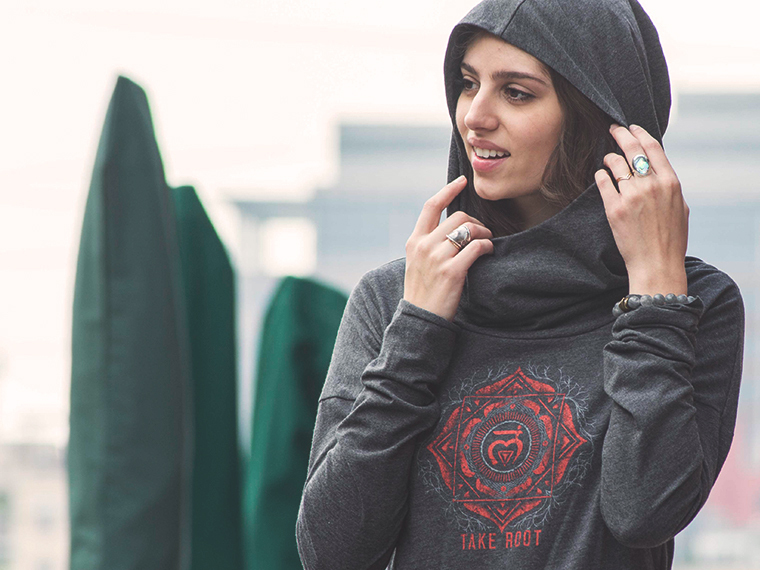 If you’re going back to school, maybe you need a cozy zip-up hoody. Just headed (again) to the daily grind at the office? A new work-appropriate cardigan might be more your style. Trying to create a workout habit that starts NOW, not Monday? Maybe a couple fun headbands will entice you to get your sweat on. 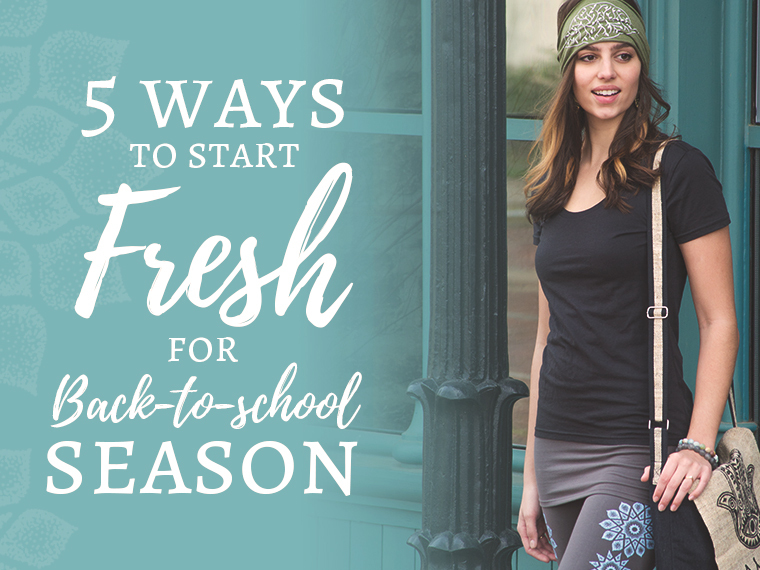 Back-to-school season is about starting fresh! Each and every day is an opportunity to adjust your sails toward a life you love living. As always: be kind, be soulful, and be yourself!